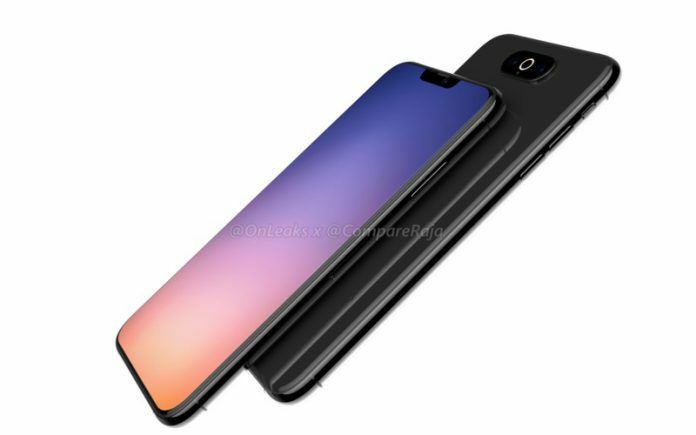 This is only the first month of 2019 and the Apple iPhone Xl (or iPhone 2019) design has been leaked twice. 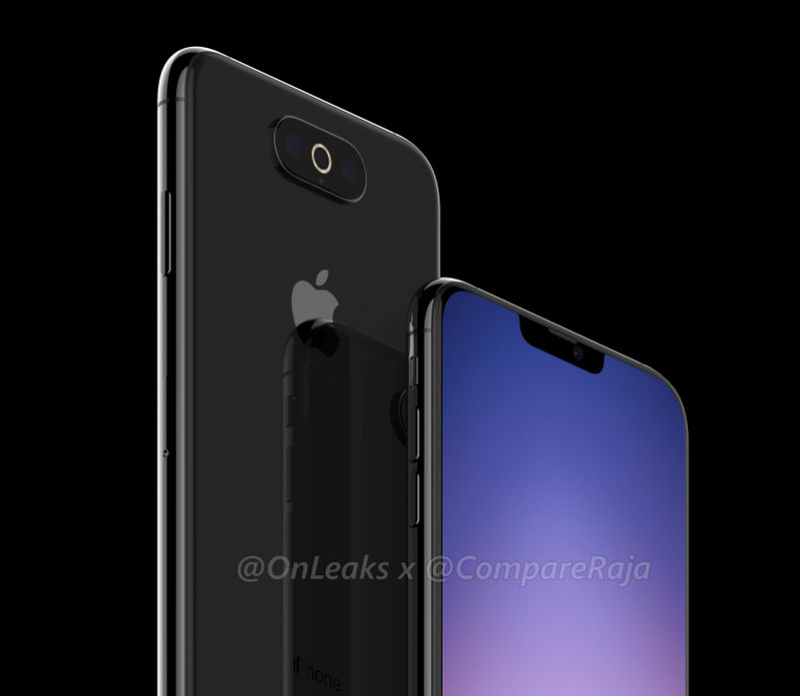 As per Apple’s routine, the next series of iPhones would be launched in September this year, but leaked renders have started to show up already. The only catch is that two different leaks show two different designs, so either one of them is wrong, or the two are leaked renders of different iPhone models. In any case, let’s take a look at the images leaked today by serial leaker @OnLeaks and technology publication CompareRaja. The image shows a triple rear camera for the next iPhone. iPhone Triple Rear Camera: Horizontal or Square Setup? 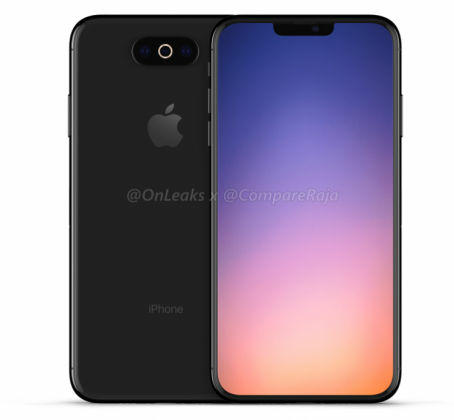 We had reported about the first round of leaked renders of the upcoming iPhone that’s due to be released in 2019. Past images showed a square-shaped camera unit with two sensors stacked vertically and another one placed to their right, which made it look like a triangular arrangement of sensors, with an LED flash above the third sensor. The camera unit looked similar to that of the Huawei Mate 20 Pro, but not the camera sensor alignment. Newly leaked renders present a completely different design, though. While the previous leak showed a left-aligned camera unit, we can see a center-aligned horizontal camera unit with rounded edges. You can see three camera sensors placed horizontally, with not much space between them, and what looks like a ring-shaped LED flash wrapped around the sensor in the middle. 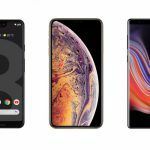 Apart from the camera, we can see a smaller notch than the 2018 iPhones, a glass back, and nearly the same design for the body as the existing iPhones, which, of course, is not a bad thing. The only question is, then, about the two different designs that have come out. 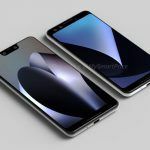 Since Apple is likely to launch three different models in September 2019 as the brand did in September 2018, it may be so that the horizontal camera setup is for the more affordable iPhone 2019 model, and the fancier square camera setup is for the more expensive flagship model. The iPhones are still in their EVT (Engineering Validation Test) stage, so it is too early to make any worthwhile predictions about them. 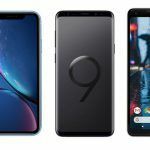 There are rumors that at least one iPhone model will get a 5G modem this year, but there are counter-rumors about the first iPhone 5G coming out no earlier than 2020 because Intel is not ready with its 5G modem and Qualcomm is ready to sell its 5G modems to Apple due to their legal fight. We’ll have to wait a while longer for the clouds to clear up. 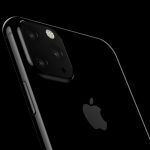 The other major rumor is that the new iPhones, or at least the flagship model in the 2019 series, will get a 3D Time of Flight (ToF) sensor, which will help make the phone a great platform for AR and VR apps. Again, there is no confirmation, so we’ll just have to wait a little longer to get clarity.